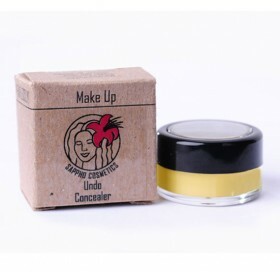 Mineral concealer with a light yellow base to conceal redness in the skin. This concealer is made wi.. Discover which tone is perfect for you, get some foundation samples. Ships internationally to all countries, from Canada. A liquid foundation that will provide light to medium coverage. Based in organic aloe. Moisturizes your skin without oil (Jojoba oil is a liquid wax). This is suitable for all skin types and works especially well with oily skin. Infused with powerful phytonutrients and antioxidants, this build-able luxury foundation provides light to medium coverage and leaves the skin looking flawless, fresh and dewy. 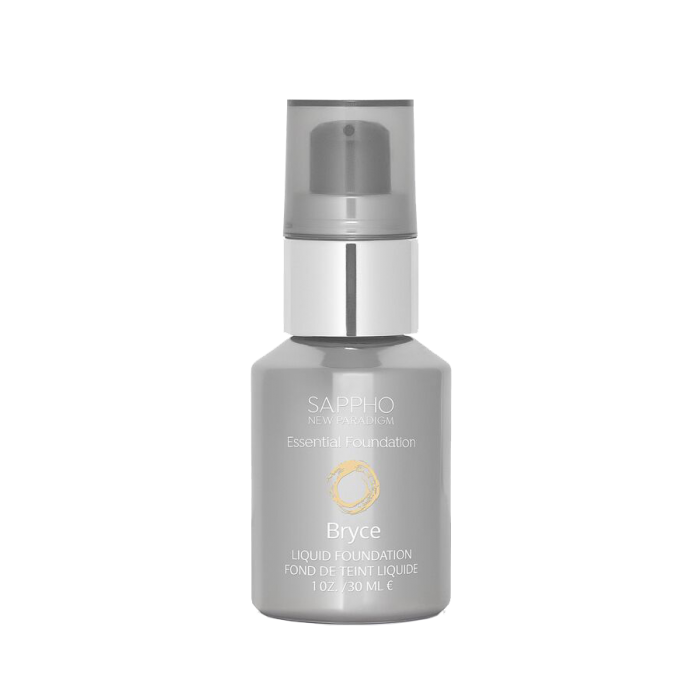 Sappho's Essential Foundation feels weightless and allows the skin to breathe. Created with a base of certified organic aloe juice and jojoba oil, plus a touch of shea butter for nourishing moisture, it is a favorite among those with problematic skin and smells essential-oil incredible. Use of ECOCERT™, COSMOS™ certified ingredients. 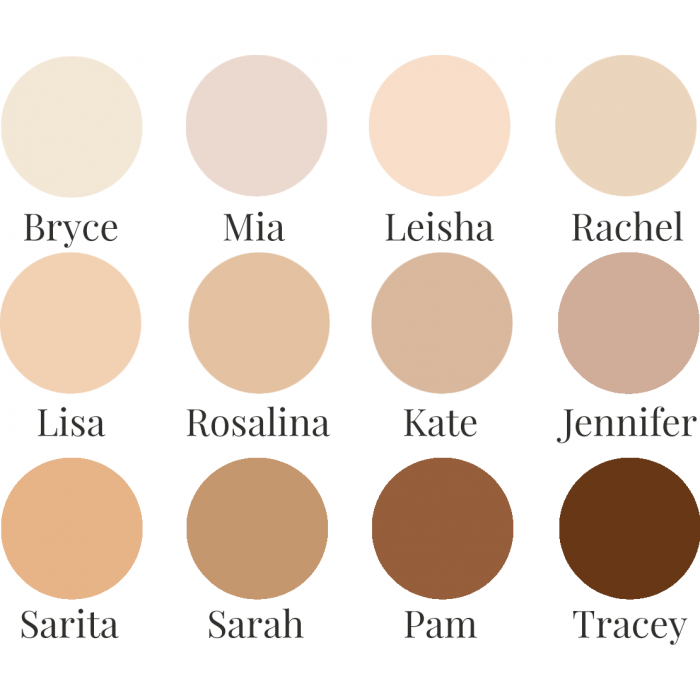 Bryce #1: This is the lightest shade made for very pale skin tones. 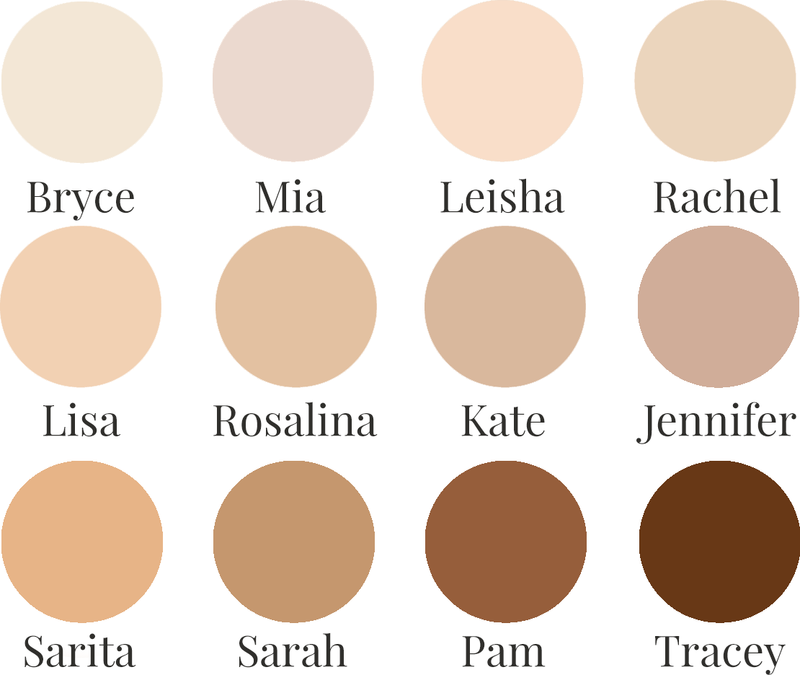 Mia #2: This is the lightest shade made for fair or porcelain skin tones. 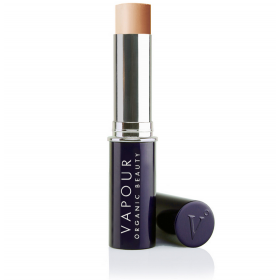 Leisha #3: This is perfect for light to medium skins with olive undertones. 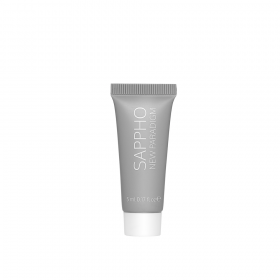 Rachel #4: This is Sappho’s most popular shade as it is suitable for light to medium skin tones. 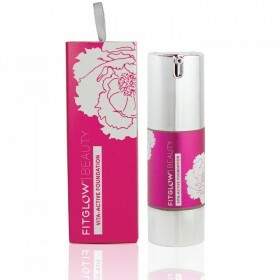 Perfect for those with redness in their skin as the yellow in this foundation will counteract the redness. Lisa #5: The mid-tone made to be a perfect match for many women is a combination between Rachel and Kate. Rosalina #6: Suitable for olive skin tones. Kate #7: Suitable for lightly tanned and olive skin tones. This color was made as the ‘perfect shade’ for summer months. Jennifer #8: Suitable for medium to tanned skin tones. Perfect for those with lots of color in their skin including olive or golden undertones. Sarita #9: A medium tan tone. Sarah #10: The perfect color for those with medium to deep caramel skin tones. Pam #11: Suitable for dark skin tones with a slight red undertones. Tracey: A deep, rich dark tone. Shake the bottle well before using. 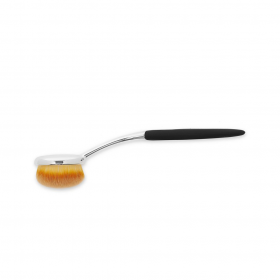 Blend in circular motions upwards using your hands or a flat head kabuki brush. Sappho recommends their foundation brush for an even and buildable application. 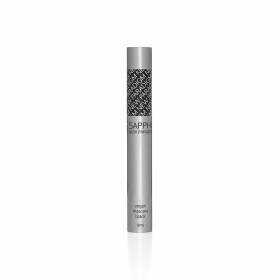 Sappho's new Paradigm Black Vegan mascara is the newest addition to their natural cosmetics line. .. 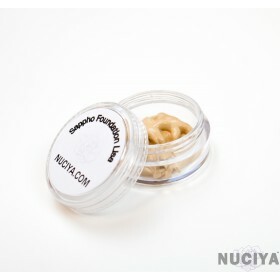 Samples AvailableClick hereVITA-ACTIVE FOUNDATION is more than just a way to perfect skin to.. 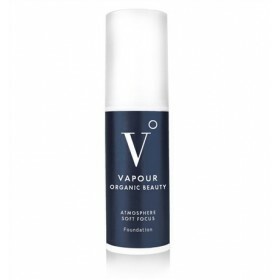 Ships internationally to all countries, from Canada.A liquid foundation that will provide light to m.. Choose:2 Shades of the Essentials Liquid Foundation2 Shades of the New Paradigm Liquid Foundation1 C..